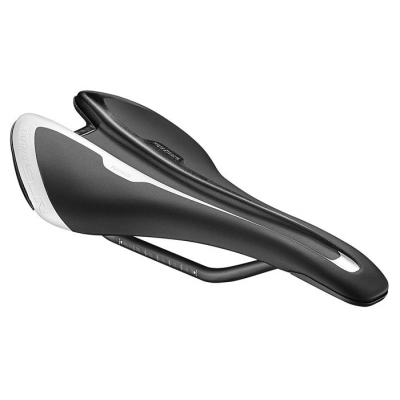 Giant's new line of performance saddles uses our Dynamic Cycling Fit philosophy to help you find the perfect fit for your body, your position and your riding style. 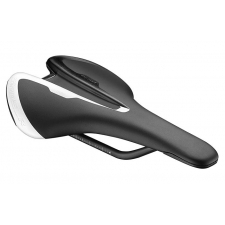 Every Contact SLR model is available in three different options (Forward, Neutral or Upright) based on the unique contact angle of a rider's pelvis while riding. Contact SLR features carbon fibre rails, Particle Flow Technology to reduce pressure points all weighing in at just 180g. In the Forward Contact Condition the pelvic bone is rotated and pressure is focused further forward toward the centre of the saddle. In this case pressure occurs in a more concentrated area. 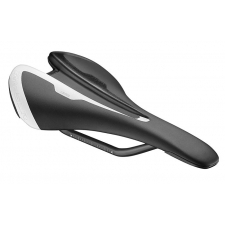 The Forward saddle has Forward Particle Flow Technology placement and an extended pressure relief channel. 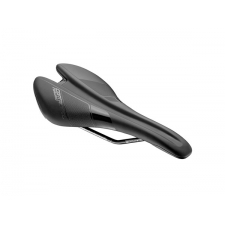 Buy your Giant Contact SLR Forward Saddle from GiantBikeSpares.com.